If you or a loved one has been injured in a car crash that was caused by someone else’s negligence, contact Ventura County pedestrian accident attorney Jeffrey Herman At the Law Offices of J. Jeffrey Herman will investigate what happened and deal with insurance companies and other parties involved. Your focus needs to be on healing. Posted in personal injury attorney on Saturday, Dec 08, 2018. Last week, a 69-year-old man was injured as he and his wife were attempting to cross the street in nearby Santa Paula. The accident happened just before noon on West Main Street. When EMS personnel arrived, they found the man lying on the roadway with a head injury. Police say that as he was crossing the street with his wife, he was pushing a shopping cart. That was when a car turned onto the roadway, stuck the cart, and knocked the man to the ground. While police are still investigating, at the Law Offices of J. Jeffrey Herman, we know that incidents like this are all too common. 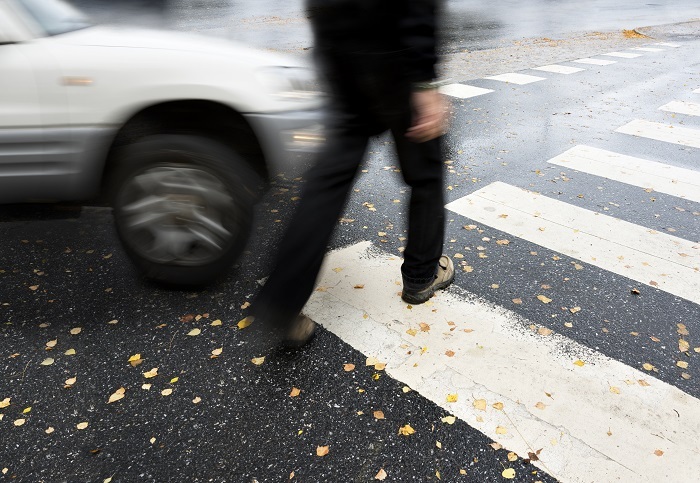 Pedestrians are vulnerable and can sustain injuries even in slow-speed crashes. When you need a Ventura County pedestrian accident attorney, you can turn to use to help get the compensation you deserve. These injuries have a physical and financial toll. Treatment can be extensive and long-lasting. In Ventura County, more than 50 pedestrians were injured or killed in the same year. In the case above, we cannot help but wonder if the man and his wife were in a crosswalk. We know that many pedestrian accidents happen in pedestrian right-of-way situations. Even at slower speeds, people can suffer major injuries. Drunk drivers rarely slow down before striking pedestrians. Distracted drivers who are more focused on their phones or other devices are a danger to pedestrians. Careless and reckless drivers should be held accountable for their actions when they cause injuries. If you or a loved one have been injured in a car crash that was caused by someone else’s negligence, you need to turn to an attorney for help. At the Law Offices of J. Jeffrey Herman, our qualified and experienced team will investigate what happened and deal with insurance companies and other parties involved. Your focus needs to be on healing.